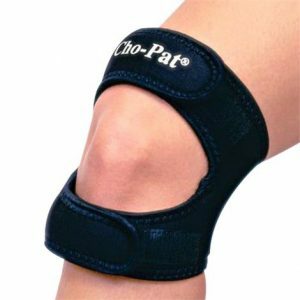 **Cho-Pat Dual Action Knee Strap from healthproductsforyou. Price: $22.66. Discount: 50%. Categories: Health, Orthopedics, Knee Support, Sponsored. Deal Rating: 4.5 Stars out of 5. Store Rating: 5 Stars out of 5. Deal Recommendation: Recommended. Available Until: Limited Quantity. Thoughts: Clearance – Cho-Pat Dual Action Knee Strap. Deal Score: 60 out of 100. **Bilt-Rite Tristretch Slip-On Knee Support from healthproductsforyou. Price: $28.99. Discount: 50%. Categories: Health, Orthopedics, Knee Support, Sponsored. Deal Rating: 4.5 Stars out of 5. Store Rating: 5 Stars out of 5. Deal Recommendation: Recommended. Available Until: Limited Quantity. Thoughts: Clearance – Bilt-Rite Tristretch Slip-On Knee Support. Deal Score: 60 out of 100. **BodySport Neoprene Knee Brace With Removable Stays from healthproductsforyou. Price: $33.99. Discount: 40%. Categories: Health, Orthopedics, Knee Support, Sponsored. Deal Rating: 4.5 Stars out of 5. Store Rating: 5 Stars out of 5. Deal Recommendation: Recommended. Available Until: Limited Quantity. Thoughts: Clearance – BodySport Neoprene Knee Brace With Removable Stays. Deal Score: 60 out of 100. **Span America 300 Series Economy Foot Drop Stop from healthproductsforyou. Price: $172.72. Discount: 40%. Categories: Orthopedics, Limb Elevators, Sponsored. Deal Rating: 4.9 Stars out of 5. Store Rating: 5 Stars out of 5. Deal Recommendation: Recommended. Available Until: Limited Quantity. Thoughts: Span America 300 Series Economy Foot Drop Stop has hexagonal base which maximizes comfort by allowing user to lie with leg in multiple positions. It elevates heels and supports ankle position. Adjustable strap can accommodate ankle contracture and protect against foot drop. The square base provides stability and ring of air design provides ventilation. **Span America 500 Series 90 Degree Leg Elevator from healthproductsforyou. Price: $259.99. Discount: 50%. Categories: Orthopedics, Limb Elevators, Sponsored. Deal Rating: 5 Stars out of 5. Store Rating: 5 Stars out of 5. Deal Recommendation: Recommended. Available Until: Limited Quantity. Thoughts: Span America 90 degree Leg Elevator is a leg positioner designed for use during surgery or physical therapy. The foam positioner bends and maintains the knee at a 90-degree angle. Adjustable straps at the end and center of the leg trough keep the leg in position. **Skil-Care Geri-Chair Foot Cradle from healthproductsforyou. Price: $135.99. Discount: 20%. Categories: Orthopedics, Limb Elevators, Sponsored. Deal Rating: 4.5 Stars out of 5. Store Rating: 5 Stars out of 5. Deal Recommendation: Recommended. Available Until: Limited Quantity. Thoughts: Skil-Care Geri-Chair Foot Cradle is designed to control foot drop and prevent a resident;s feet from slipping off the sides of an elevated geri-chair footrest. Cradle is foam padded which provides comfort and it easily secures to all geri-chairs. **Global Medical Standard Smooth Top Bed Wedge With Cover from healthproductsforyou. Price: $259.99. Discount: 30%. Categories: Orthopedics, Limb Elevators, Sponsored. Deal Rating: 4.7 Stars out of 5. Store Rating: 5 Stars out of 5. Deal Recommendation: Recommended. Available Until: Limited Quantity. Thoughts: Global Medical Standard Smooth Top Bed Wedge With Cover is useful for conditions such as respiratory compromise, cardiac conditions, esophageal reflux, pneumonia and other conditions requiring elevation of head and chest. Helps relieve respiratory discomfort and eases breathing. It comes with machine washable, dryable poly cotton cover. **Tumble Forms Valu-Form Wedge from healthproductsforyou. Price: $242.99. Discount: 30%. Categories: Orthopedics, Limb Elevators, Sponsored. Deal Rating: 4.7 Stars out of 5. Store Rating: 5 Stars out of 5. Deal Recommendation: Recommended. Available Until: Limited Quantity. Thoughts: Tumble Forms Valu-Form Wedges are designed to be used for massage, rehabilitation and physical therapy purposes. The Valu-Form Rolls are adaptive shapes with a solid core to prevent “bottoming out” and they allow rolling or rocking movement, positioning and coordination training. The Valu-Form Wedges are designed for gross motor activities such as rolling, tumbling, walking up or downhill, or creating a comfortable environment for reading and are available in therapist approved sizes. **Span America Leg Trough from healthproductsforyou. Price: $207.58. Discount: 50%. Categories: Orthopedics, Limb Elevators, Sponsored. Deal Rating: 5 Stars out of 5. Store Rating: 5 Stars out of 5. Deal Recommendation: Recommended. Available Until: Limited Quantity. Thoughts: Span America Leg Trough immobilizes leg and knee in neutral position. Base is contoured to posterior leg to support under the knee.